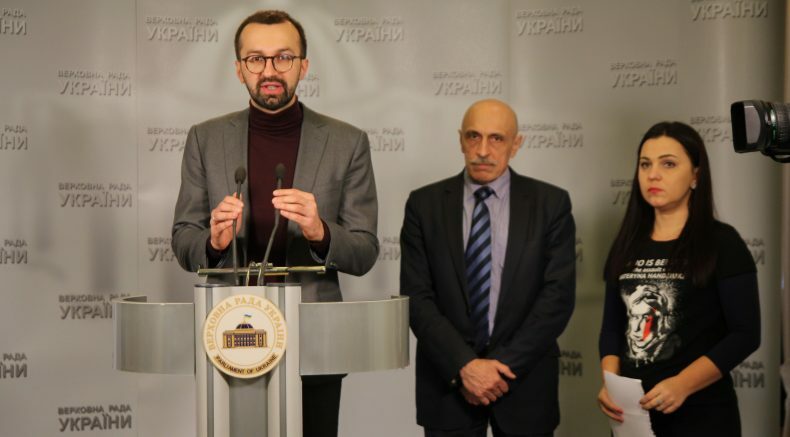 On November 20, at the press point of the Ukrainian Parliament the press-briefing on the topic “Strengthening parliamentarian control of the public activists’ systematic protection” took place. After the death of Kateryna Gandzuk the violence against public activists and journalists, and also attacks on the peaceful gatherings in Ukraine did not stop. On Sunday, November 18, the crowd of aggressive radicals attacked the peaceful manifestation for protection of the trans-genders, having savagely beaten Canadian journalist Michael Colborne, who was highlighting this event. The Ambassador of Canada to Ukraine Roman Waschuk responded to this situation, having mentioned that “criminal and hatred actions of the right extremists deserve effective and persuasive reaction of the police”. But we do not see such reaction for a long time already in many previous instances of aggression. In such a situation strengthening of parliamentarian control of the work of the law enforcement bodies is extremely important. Present at the briefing MP Sergiy Leschenko said that attacks on public activists, anti-corruption activists and journalists had become a spot on Ukraine’s reputation. The Chairman of the Board of NGO “Human Rights Information Center” Tetyana Pechonchik reminded that lack of investigation of the attacks on the public activists had turned already into a scandalous problem. 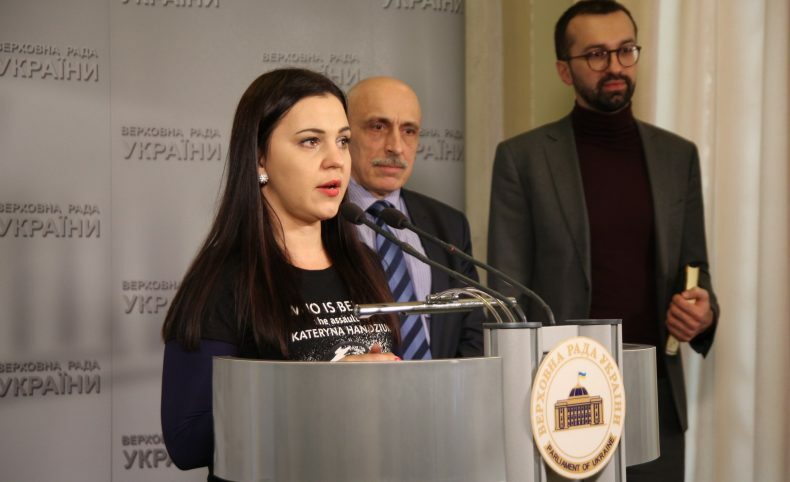 “At the moment there is so called “Gandzuk’s list” including 55 public activists, which were attacked since the beginning of 2017, – said Tetyana Pechonchik. – I came with dozens of these activists, to get to know, how investigation of attacks on them is proceeding. None of the activists mentioned any progress in the investigations”. Volodomyr Sadykov was attacked on April 28, 2017: the law enforcers did not hold anybody liable. Victor Dibrov: “Law enforcers do nothing. Probably because they are related to these people supporting deforestation.” Valeriy Airiniy: “It was not the police who found the attackers, we did it ourselves. DNA testing proved it, but taking into account that paymaster of the attack was the Deputy Head of the Oblast Prosecutor’s Office, the case was soft pedaled.” Yevgen Didkovskiy: “For a year and a half the police did not provide any information regarding assassination attempt at me. They say: they know the paymasters and the perpetrators, but do not have any proofs”. Sergiy Mokryakov: “Nobody is identified or detected”. Mykhailo Barchuk: “They sabotage everything regarding the investigation of my criminal case”. Arthur Storozhuk: “It is a cold case for sure, because the paymaster is close to the mayor”. 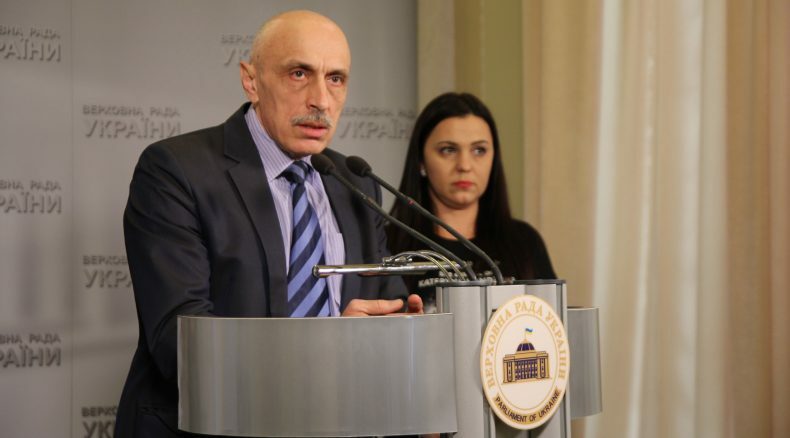 “This list proves that throughout the country the law enforcers systematically sabotage investigations, because the reform was not efficient, – considers Tetyana Pechonchik. – Or because these law enforcement bodies are related to attacks on the public activists. We call on the Temporary Commission for Investigation, created in the Parliament, to study the problem of systematic sabotage of investigation of such attacks”. Executive Director of Ukrainian Helsinki Human Rights Union Oleksandr Pavlichenko told that his organization provided legal support to the activists, which had suffered from the assaults and pressure from different structures. “On our way here we met a lot of “auto Maidan activists”, supporting car customs clearance at a reduced rate, – mentioned Oleksandr Pavlichenko. – They are well organized, self-protected and they do not need additional protection. But there are much more vulnerable people, protecting environment and rights of certain vulnerable groups”. According to Oleksandr Pavlichenko recent “brutal attack” of the radicals at the action for the protection of trans-gender people, which suffered from the violence, had extremely negative reaction. It was already criticized by the local human rights organizations and condemned by our international partners. This proves the fact of vulnerability of everyone who protects the more vulnerable. “It is very important for us to develop the mechanism in the law enforcement bodies which will ensure the right of the citizens for peaceful gatherings and freedom of expression of views, non-interference in private life, – said Oleksandr Pavlichenko.